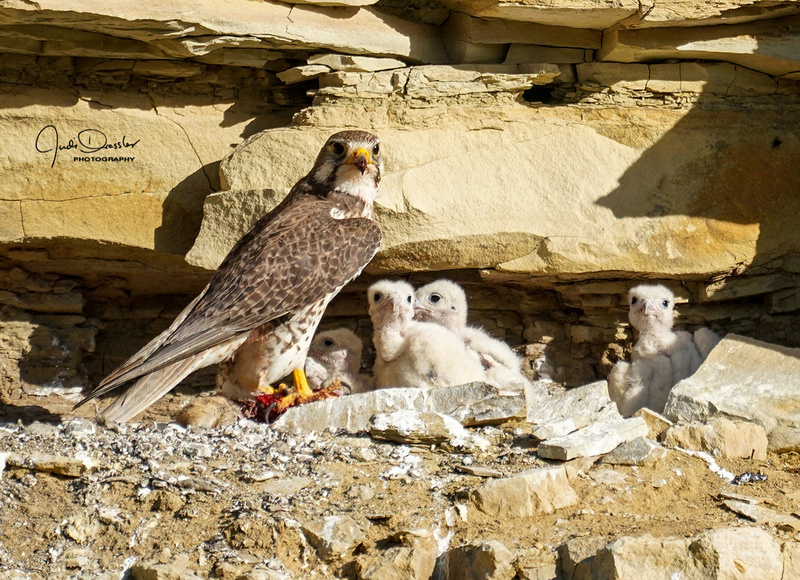 When we came within view of this Prairie Falcon nest in the cliffs, the parents immediately flew off because they didn’t want us to see it, and they would not go back while we were there. So we set up our cameras to take photos remotely, and left, hoping the mom would fly in to feed while we were gone. And sure enough, it worked! We got great images of mom in the nest with her 5 babies. In this one, she has just flown in with some food and will begin feeding shortly. I like how she and some of her babies are posing nicely for the camera in this image!